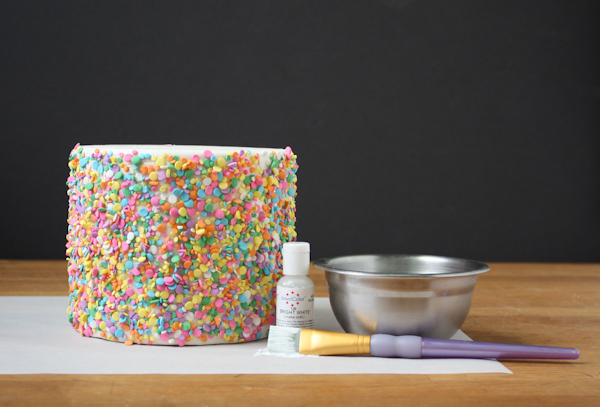 Our contributor, Erin Gardner of Wild Orchid Baking Company, is here with a new tutorial for you. A fun way to add a touch of glam to your Halloween bash! Halloween has to be one of my favorite days of the year. It’s so fun to dress up and pretend like you’re someone else. This year I’ll be going as organized and ahead of schedule – ha! 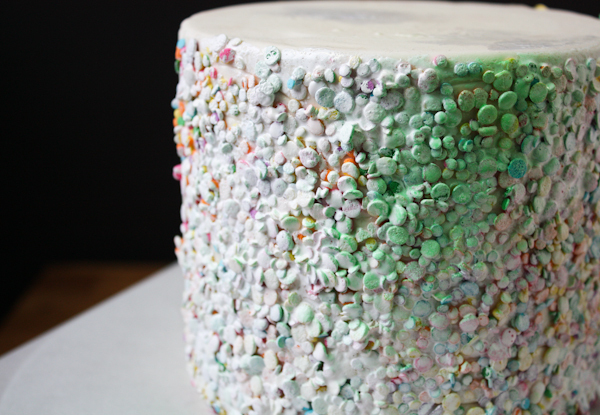 Confetti covered cakes have been all the rage this past year! 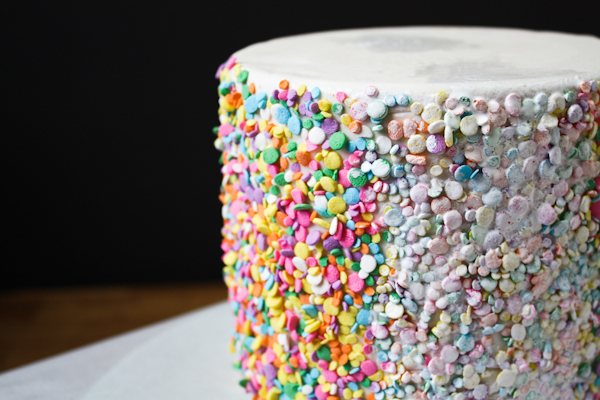 The technique has primarily been used on glamorous cakes in shimmery gold and silver (because metallics give great color coverage over the pastel confetti quins). 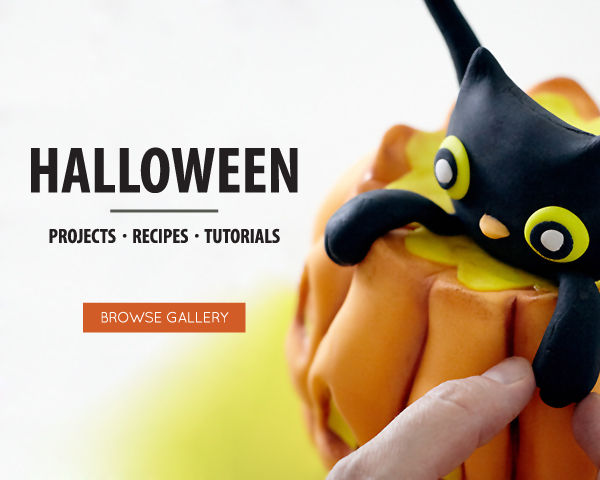 For this project I tried something new and gave my confetti covered cakes a spooky-fun twist. 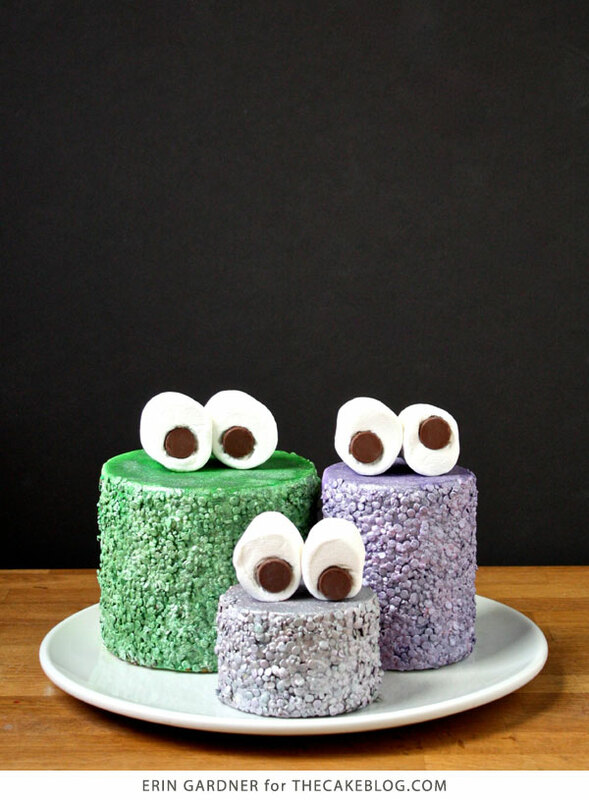 These little treats are glammed up enough for your grown-up party, but still fun enough for your little monster’s get together. 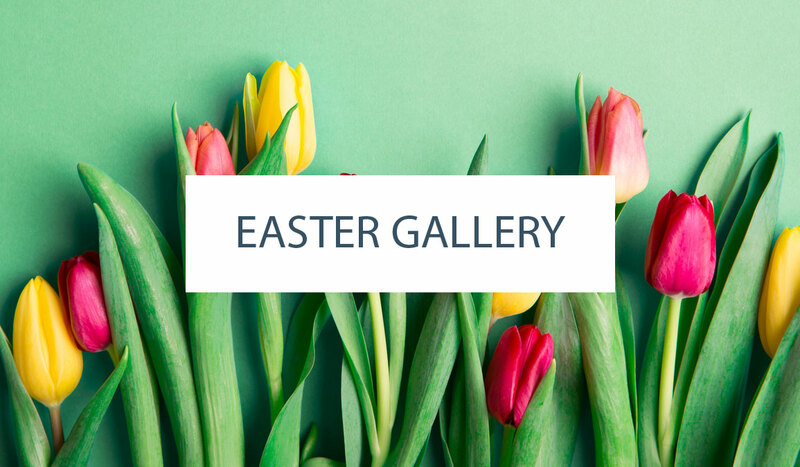 Combine the large and small confetti quins in a large bowl. 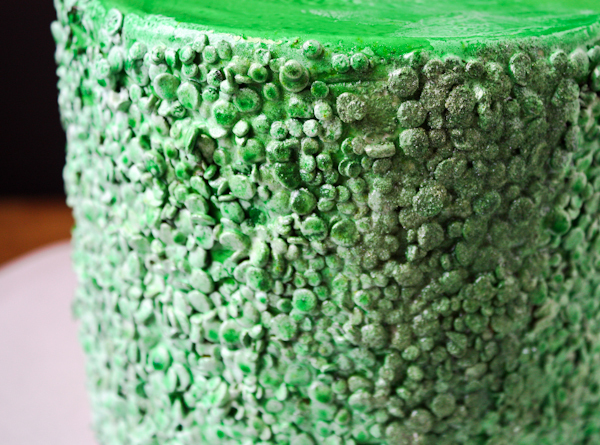 Brush the sides of your cake with piping gel. 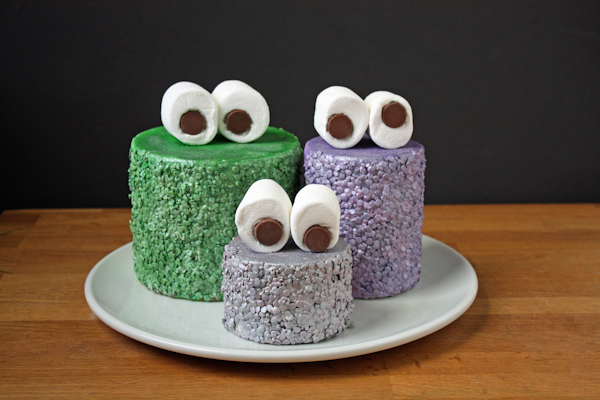 Scoop up handfuls of quins and press them onto the sides of your cake. Set your turntable so that the edge hangs over the top of your bowl, catching any quins that don’t stick. Repeat until the cake is completely covered. Set your cake onto a piece of parchment paper. Squirt some white gel food coloring into a small bowl. 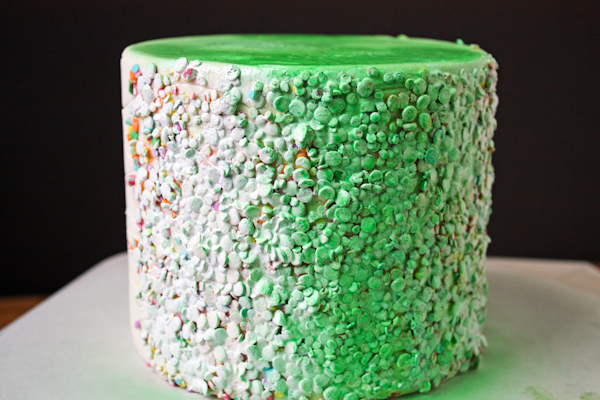 Brush the white “paint” onto the confetti covered sides of your cake. Using a dabbing motion, rather than going up and down or side to side with your brush, will help get better coverage. Allow the cake to dry before moving onto the next step. 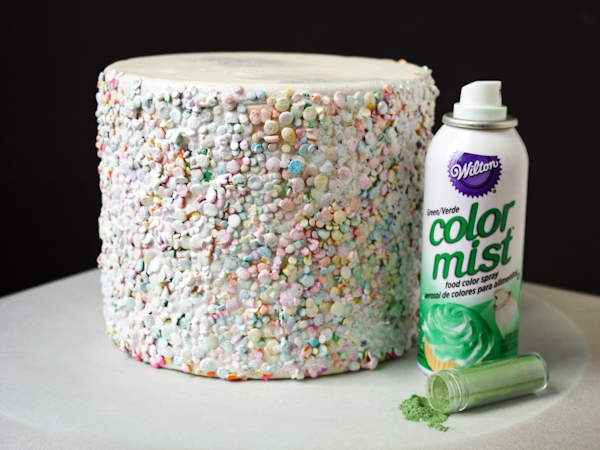 Spray the cake with 2 coats your aerosol food coloring. 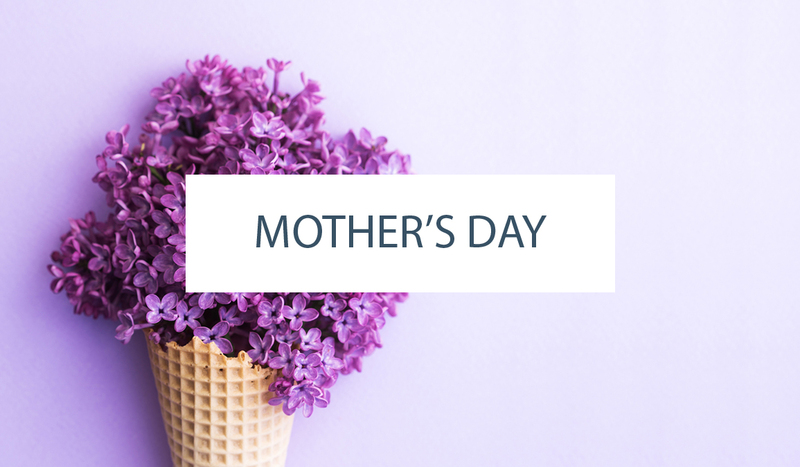 For this project I’m using items easily found at the craft store, but if you have an airbrush – go for it! After the two coats have dried your cake is most likely not going to be a solid color quite yet. 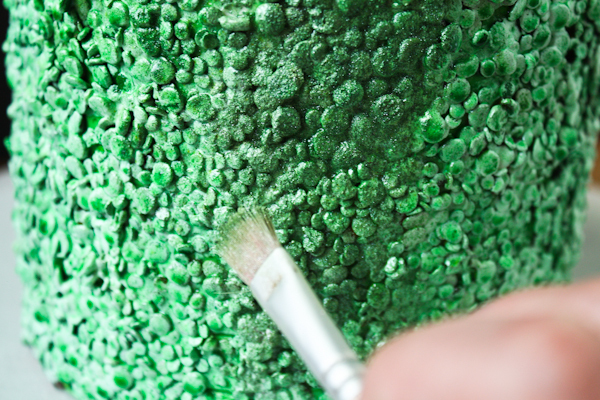 In this last step you’ll go back in and dry brush on some shimmer dust in the same color as your spray. This will add some nice shine to your sequins while also deepening the color. Just as in the painting step, dabbing rather than brushing will give you better coverage. The monster eyes couldn’t be easier! Set two jumbo marshmallow on their flat sides. 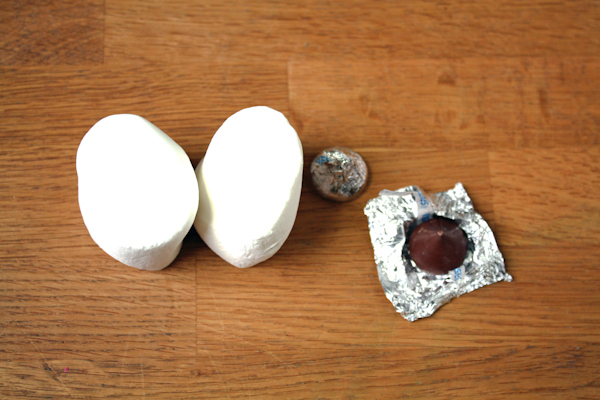 Unwrap two Hershey’s kisses and press the pointy end of the kiss into the marshmallow. 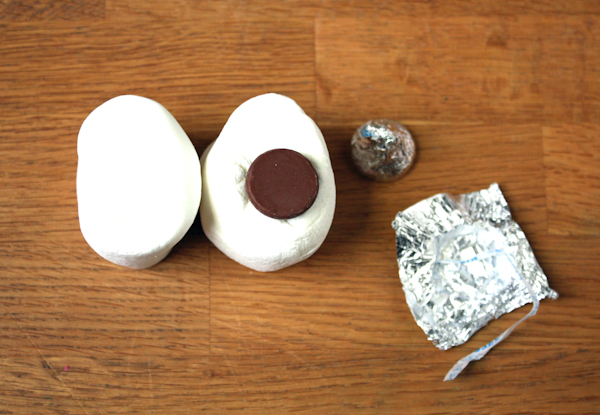 Next, take the kiss off and scoop out a tiny bit of the marshmallow with the tip of your finger to give the kiss a little indent to sit in. The sticky marshmallow will keeps the kiss in place. 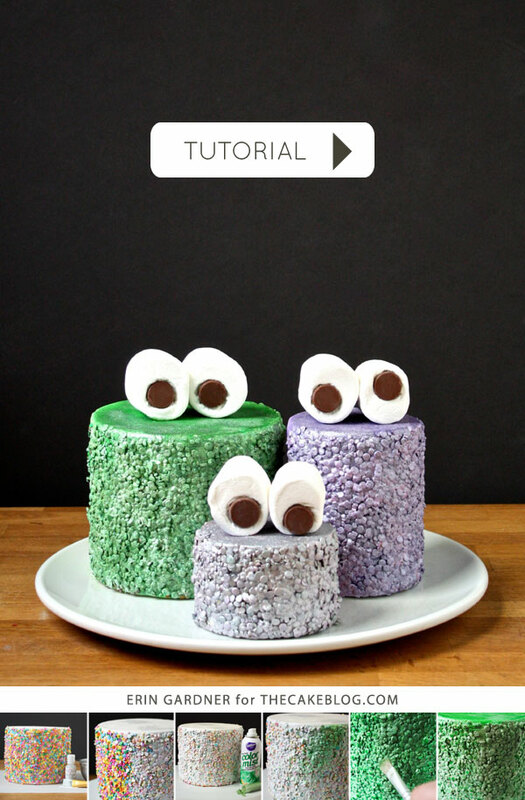 Use a dab of piping gel or water to stick the eyes together and set them on top of your finished cakes. Can you please make these in white? Just joined and all your cakes are so unbelievably amazing!! !